This is a story of Twitter’s first five years, and of the various falling outs between its four founders. And it’s one of the best stories of its sort that I’ve ever read. I was so fascinated by this story and so moved, that I strongly suspect much of it to be somewhat on the false side. In this case, I am putting this preface up front because I have at least three Facebook friends who work or worked at Twitter, and I think one of them was there for some the events described in this book. Thus my disclaimer will be: I know nothing about the real Twitter; all I know is the portrait painted in this book. Yesterday, when I read Ben Horowitz’s book, the line that most fascinated me was the one where he talked about how horribly managed companies can succeed as long as they have good product/market fit. Basically, if you’re the only one selling something that the market really wants, then you’re going to be a success. This is particularly the case with regards to tech companies, where network effects mean that the company which amasses an early lead can often crush later competitors in the same space. 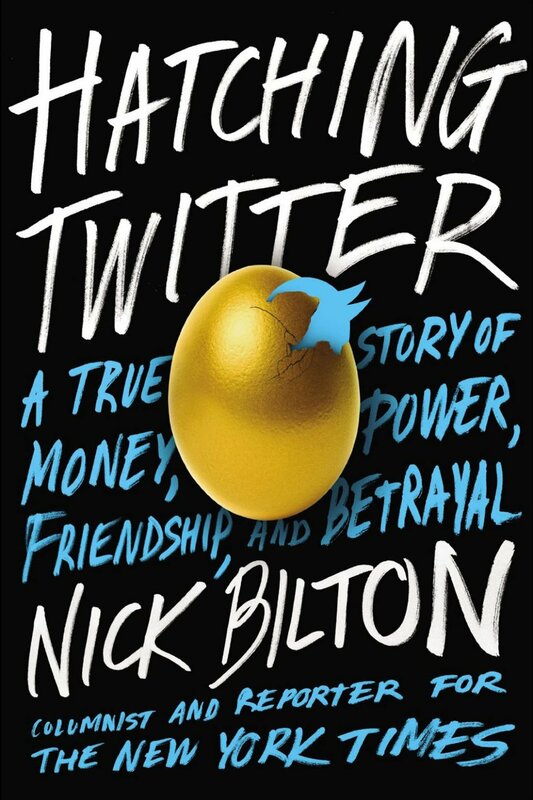 Twitter (as portrayed in this book) seems like a perfect example. These four people’s main innovation seems to be that they created a clean, simple, and phone-friendly interface for displaying public text messages, and that they launched this product at roughly the same time that the launch of the iPhone was resulting in a massively increased the appetite for this kind of messaging. Other than that, it doesn’t seem like they were particularly innovative or good at what they did. For instance, two of Twitter’s main features, the @ reply and the hashtag, were both introduced by users, and the hashtag, in particular, was initially derided by the company. Some of the stumbling around in the book is pretty comical. For instance, after Twitter has amassed well over a million users, an engineer is stumbling around in its software architecture, trying to patch things up and make it more stable, when he discovers that there is no backup for the system. If they lose the database, then everything–all the users and all the tweets and every cent of (what was then) tens of millions of dollars in market value–would disappear. That is insane. But that’s not the best part of the book. The best part is the crisp portrayal of the principal characters, and the horrible drama that ensues. One thing that makes me doubt the veracity of the book is its focus on visual detail. In an early chapter, for instance, it vividly describes Twitter founder Evan Williams biking to his apartment in Sebastopol in 2005. That’s the kind of thing that you generally don’t read in nonfiction books, because it’s pretty hard to know exactly what things looked and felt and smelled like when you weren’t there. But that visual focus is what makes the book such a delight. You feel like you’re there. The people feel real. The loneliness of these four founders is so palpable. They all come from such malformed backgrounds, and all want community and friendship. And they all achieve it, for a brief moment, with Twitter. And then immediately proceed to destroy each other. Basically, they squabble over who’ll be CEO of the company. But watching it play out is so heartbreaking. After finishing the book, I was enveloped by a not-unpleasant sadness that persisted for some hours.